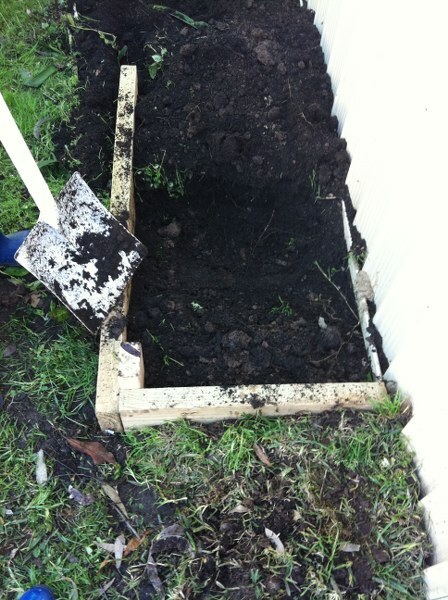 Today we created a new garden bed! 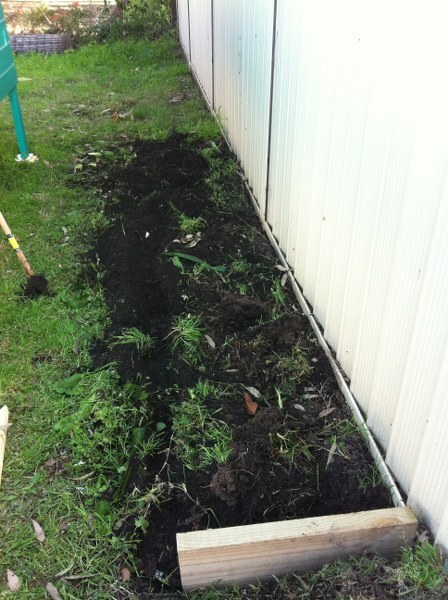 It was an absolutely gorgeous day out there today..
We put in the side piece, which is 60cm long. Those are hibiscus which I’ve had for a few years now in pots and they have been waiting to be planted in the ground, so they are happy now. 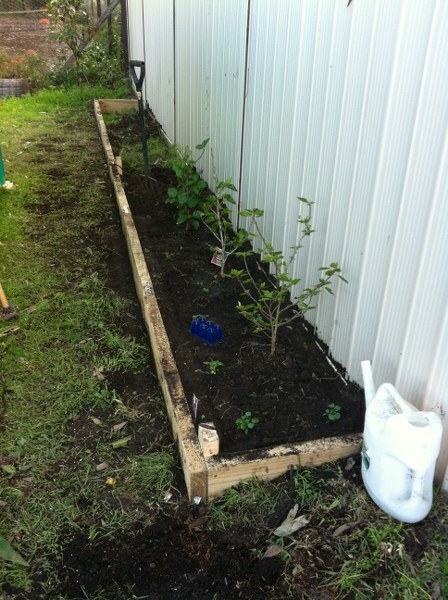 I’ve still got a couple more to plant, we need to get some fresh dirt in for the other end which was grass. There are also some pansys which I bought the other day. 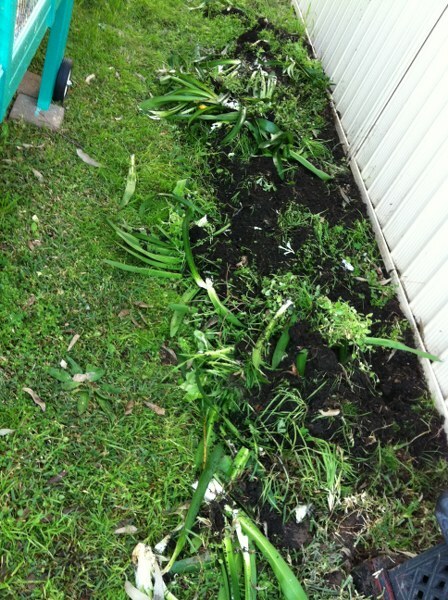 I planted some poppys in the other garden bed today because they needed to get planted quick, they were in very tiny seedling trays. Big kitty spent some time wandering outside today sniffing about. She is an indoor kitty and to go outside we keep right by her so she feels safe and comfortable, and so no native animals meet their makers. 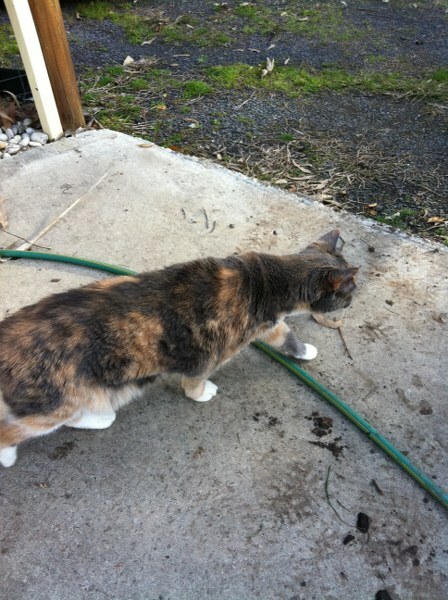 We have a bit of cat traffic in our yard who leave interesting smells plus some mice. But then a large cockatoo flew over making a heck of a noise and she bolted back to the safety of inside.